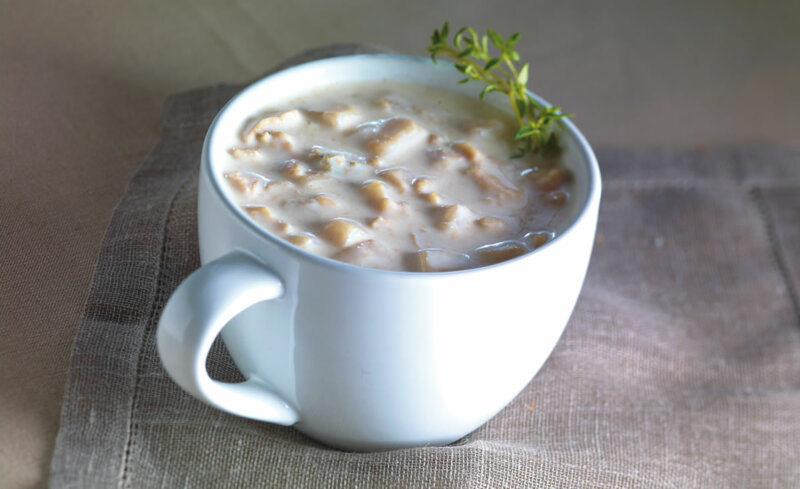 Simply the Best New England Clam Chowder uses Hand Shucked Clams, which features its great piece identity and robust juice flavor. True chowder traditionalists prefer thin brothy milk chowder served with crackers to allow the patrons to make it as thick or thin as they like. Drain juice from clams into a soup pot and add all remaining ingredients except clams and half-and-half. Bring mixture to a boil then simmer until potatoes are fork tender, about 15-18 minutes. Add clams and half-and-half and continue to simmer for an additional 20 minutes, stirring occasionally. Cut butter into cubes and mix into soup until melted. Serve clam chowder hot, garnished with parsley, crackers, and lemon if desired.